Contrary to popular belief, turning 18 or 21 isn’t as much of a coming-of-age experience as we’re led to believe. Sure, there are some additional perks that come with gaining the right to vote, but the magic really happens with the big 2-6. 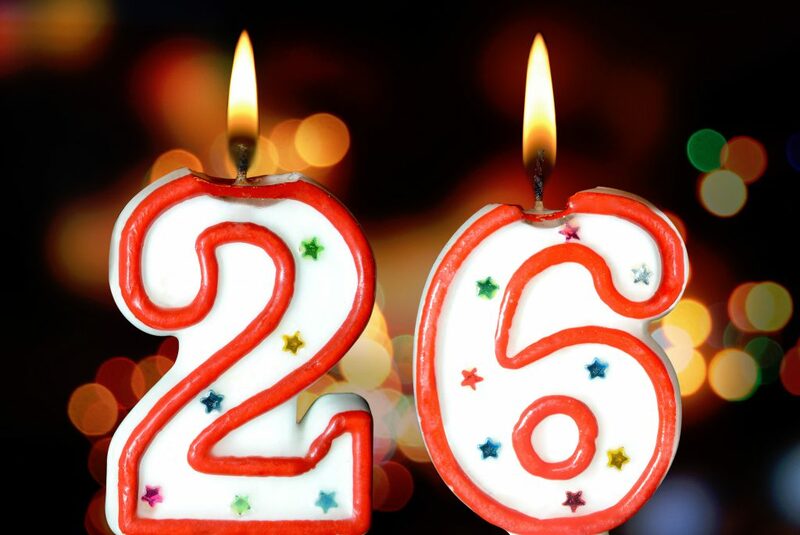 That’s right, 26 is a huge year for you and your health insurance. If your parent’s health insurance plan covers dependents, you usually can stay on it until you turn 26. But now your birthday is fast approaching and it’s time to figure out next steps. When does my coverage run out? When I turn 26 (in my birthday month), or at the end of the year? Make sure to check with your parent’s plan to determine when your coverage runs out and the earliest date you can enroll on your own. Don’t wait until you are off your parent’s plan to begin your search because you want to avoid being without coverage. Your goal is to make this transition as seamless as possible. Keep in mind: If you don’t enroll in health coverage in the 60 days following your bday, you may not be able to get coverage until the next Open Enrollment period which runs mid-November through mid-February. When thinking about new insurance plans, keep in mind your specific healthcare needs. Planning on a costly surgery this year? You may require a plan with a lower deductible but higher premium to help with those medical bills. Take stock of your yearly medical bills and visits – if you are relatively healthy and only see the doctor for regular check-ups then a less comprehensive plan might be best and will also save you money. And remember, SingleCare is a great supplement to any existing health insurance plan. It only takes a moment to sign up for SingleCare’s free network, which gives you access to trusted doctors at affordable rates. If you’re confused about what a deductible is, read more here. What network works for me? Lastly, once you’ve accounted for your healthcare routine, check if your new plan requires you switch networks. Meaning, your current doctor may no longer be 100% covered by your insurance. If you absolutely want to keep your current doctor, then search for a plan which includes them. If that’s not possible, then another option is to enroll in your employer-sponsored plan, or a cheaper option, and pay out of pocket for your routine doctor visits. Ultimately, you should do what’s right for your healthcare needs and budget, but consider all of the details before making a decision. Switching plans is time consuming and costly, so make sure you do all your research upfront to avoid the hassle later on. Don’t be afraid to ask your HR reps at work or even your parents – you don’t have to go through this alone.